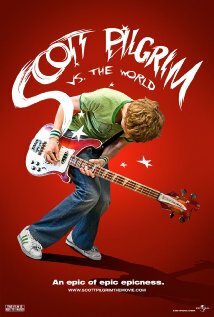 Scott Pilgrim vs. the World is the film we are watching this month. It is an "indie" love comedy with lots of comic-book, videogames, music video language thrown in. It is a very cool visual fest. And it's fun, too. Here, you can read the imdb.com page for it with loads of info.